A Baruch Master of Corporate Communications (you know her mama has THAT framed! ), Rosanna found a universe where her passions and skills align—#blessed! 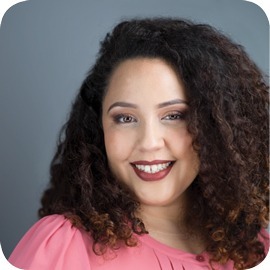 With a theater and film background, this #Bronxbombshell trained at the Atlantic Acting School where she was encouraged to write and produce her own work. In 2010 Rosanna was chosen for the New York Foundation for the Arts’ inaugural Artist as Entrepreneur Bootcamp, where she developed a love for finding ways to bring entrepreneurship to the arts. Rosanna worked with leading communications experts at the Arthur W. Page Society where she managed a recruitment project that resulted in 50% increase in membership—Girl, those are some serious metrics! She has developed strong relationships and media attention for clients in the technology and government sectors, lead social media and event management strategies for the Museum of Public Relations. She is passionate about bridging the gaps in the arts community and beyond—a girl after our own hearts!